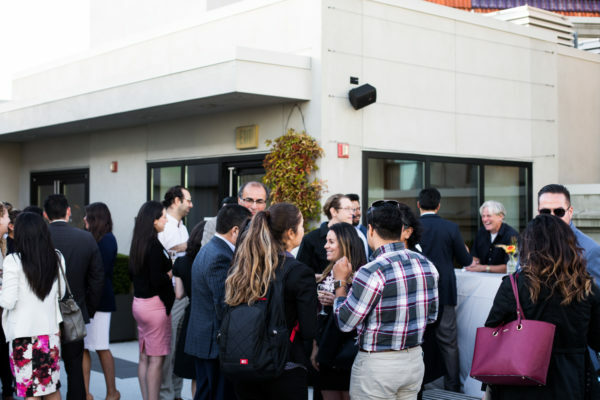 In partnership with Northwestern Mutual, Hispanic Executive was thrilled to host the third and final installment of the 2017 #NextGenLíderes national tour in San Francisco on Thursday, September 14. Rocio Tapia, financial advisor at Northwestern Mutual, welcomed guests, shared insights on the importance of financial planning for millennials, and introduced the guest speaker for the evening. “We believe that young Hispanic professionals have the potential to become the success stories that will inspire the future workforce of this country,” Tapia continued. One such success story, Tapia pointed out, is Marisela Garcia, who founded Iberus in 2015 to focus on cross-border investments in tech startups between San Francisco and Silicon Valley, and international markets. She is the first Latina millennial leading cross border investments. 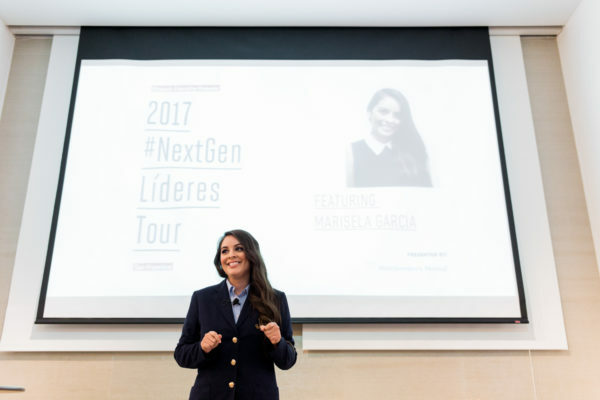 During the #NextGenLideres San Francisco program, Garcia shared some of the tips that have helped catapult her into unprecedented success. Most recently, she co-lead a delegation of Silicon Valley Latinos in Tech to Guadalajara and continues to promote delegations to emerging startup ecosystems around the world. For more information on Marisela Garcia, catch her featured story in the next issue of Hispanic Executive. For more information on Northwestern Mutual, please visit  their  website. 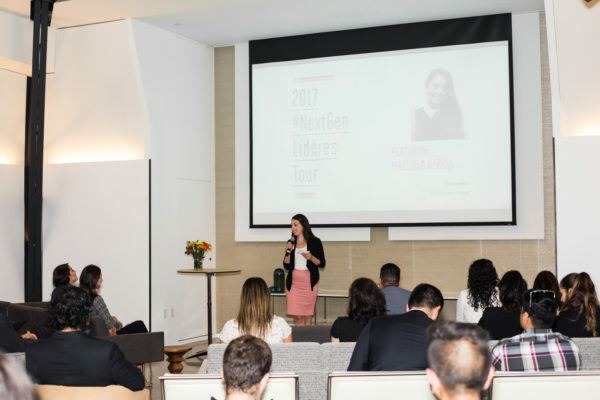 Thank you to all who participated in the 2017 #NextGenLíderes tour! For more images of the event, please visit our Facebook page. All photos by Gillian Fry.